We offer a whole host of amazing outdoor activities across Scotland, which are ideal for school, college, university or youth group activity days. Our main bases are at Loch Lomond, Aviemore and Inverness, but as we are a mobile provider, we can provide activities Scotland-wide. The activities are ideal for groups of all sizes (minimum 8) and abilities and work well for both day trips (half or full days) and residential breaks. Although the minimum is 8 participants, we have the capacity to cater for larger groups of 150+ over a number of days. The experiences aim to challenge individuals, develop new skills, build confidence and encourage team work, but most important of all, have all participants craving more! We pride ourselves in providing a bespoke service, tailoring programs to suit learning or developmental objectives. Perhaps you wish us to focus solely on adventure, but a team building element and educational topics like STEM can be incorporated into your program. With more than 14 year experience delivering successful outdoor activity days for school and youth groups, we are the perfect choice for a safe, yet hugely enjoyable outdoor activity day in Scotland. 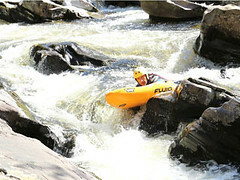 Activity days can comprise of either one activity or multi activity packages and include water and/or land activities. Packed lunches and other catering needs can be arranged and quoted for on request. A fully catered residential option is available for school and youth groups looking to spend more than one day with us. Together with the Scottish Youth Hostel Association, we can provide all the facilities and catering required for a full residential youth group break. Safety is paramount when it comes to outdoor activities and children. In Your Element are licensed by the Government’s national Adventure Activities Licensing Authority, a mark of assurance that all safety precautions and measures are in place to ensure maximum safety and security for your group. We are licensed to provide outdoor activities for unaccompanied children. 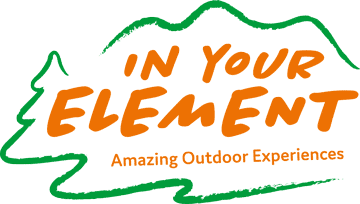 All In Your Element instructors are appropriately qualified and are trained in first aid and all necessary equipment would on hand, should it be required. Our excellent safety record is achieved through regular, comprehensive risk assessments at all our activity venues, routine policy reviews and a high standard of equipment & staff. Should you require to see any of the above documentation, please just ask. We provide discounted rates for all school and youth groups, prices are based on location, duration and activity choice. Please get in touch to discuss your plans.